When Mother’s Day comes around every year, it provides the perfect opportunity to crow about the whales now mothering young calves and to introduce their babies. These introductions have been a long time coming! Baby watch starts every winter as North Atlantic right whales migrate away from the summer feeding grounds and researchers with the Anderson Cabot Center turn their attention to the calving grounds in the Southeastern United States, along the coasts of Georgia and Florida. That’s where many calves are seen first. Scientist at other organizations run regular surveys to find and photograph the whales in this area, paying careful attention to moms accompanied by newborn whales. Hopes are always high that they’ll see a lot! But researchers with the Florida Fish and Wildlife Conservation Commission, Sea to Shore Alliance, and Georgia Department of Natural Resources sighted only three moms with calves in the Southeast calving ground this year: #1711 (no name), #1012 (Pediddle), and #2614 (Tripelago). Until April, the calf count was at a bittersweet three. While we all swoon over the new youngsters, the average calf count is usually about 14, so three was a disappointingly low number. Here are the three newbies. Right whale #2614 accompanied by her calf | Photo taken by Florida Fish and Wildlife Conservation Commission (FWC), taken under NOAA research permit #15488. Then came spring in Cape Cod Bay. 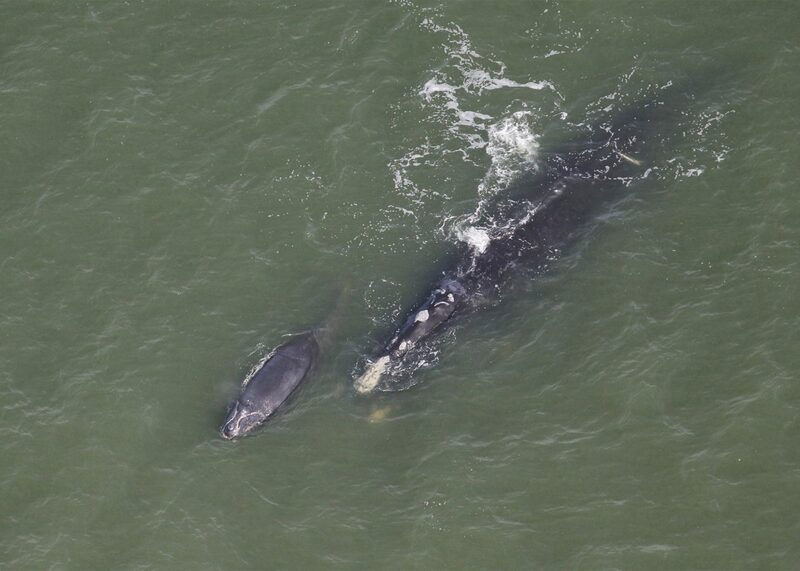 Literally hundreds of right whales turned up in the bay, with 206 spotted by the Center for Coastal Studies on a single day in April. Along with all these feasting whales came two previously unidentified calves with some very interesting mothers. First found this season on April 12, the Center for Coastal Studies and NOAA/National Marine Fisheries Service saw #1412 during two separate aerial surveys of Great South Channel and on the eastern edge of Cape Cod. By her side was the fourth known calf of the season! 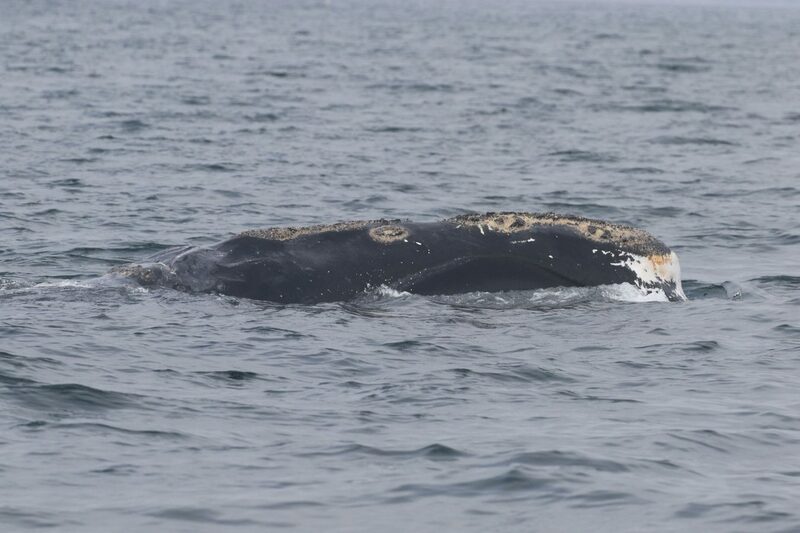 On April 20, a team of researchers from Northeast Fisheries Science Center and New England Aquarium’s Anderson Cabot Center saw the pair in Cape Cod Bay. The team successfully collected biopsy samples for genetics from both the mom and her calf. This is tremendously valuable data, which will add to our understanding of right whale family trees. Now #1412 has an interesting history. She was first seen in 1984 with a calf on Jeffrey’s Ledge, which is in the western part of the Gulf of Maine. Researchers have documented her with two calves over the years, the first two were 13 years apart and both only seen on Jeffrey’s Ledge in October. 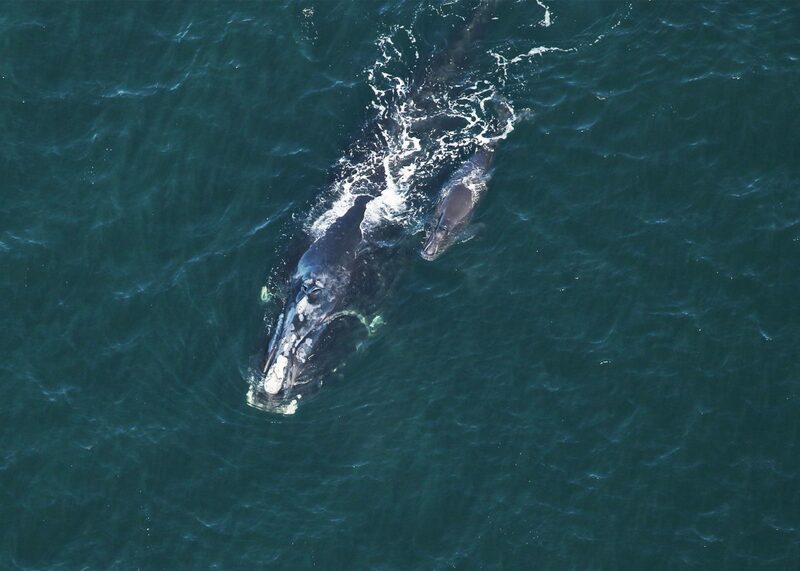 This year’s calf is her third documented offspring—20 years after her last known calf was born. Her other sightings without calves have been far from the usual survey zones of the East Coast of the U.S. and Canada. We call her an off-shore whale because she uses other feeding habitats. In fact, this whale has been documented as far away as Cape Farewell in Greenland and in Iceland. She has only been seen seven times in total since her first sighting in 1984! 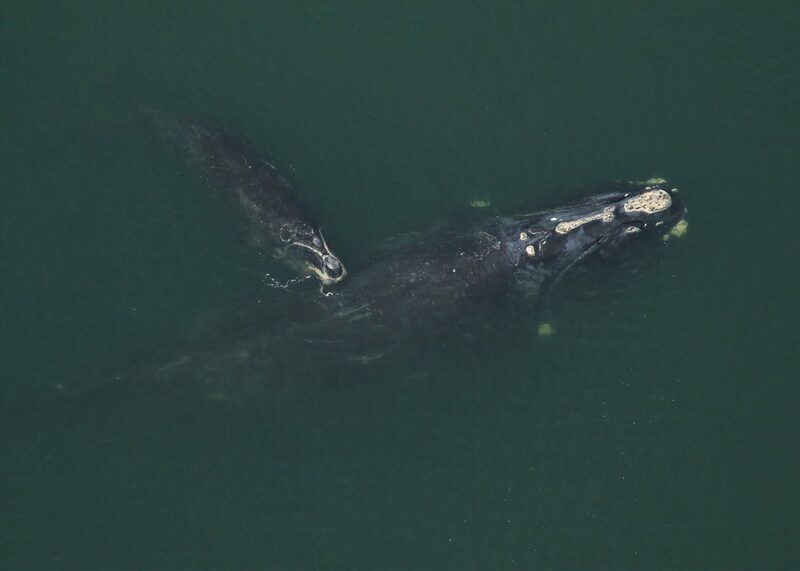 Then on April 20, whale #1515 was spotted with a calf by NOAA/National Marine Fisheries Service during and aerial survey of Great South Channel, marking the fifth known calf of season. The team spotted her twice this year, but she has only been seen over the course of 21 different days since 1985! In fact, these 2017 sightings of her are the first since 2009. #1515 is another off-shore whale who has mostly been spotted in the Southeast with a calf, though the very first time she was documented was in 1985 with a calf in Massachusetts Bay. This year’s calf is #1515’s seventh! 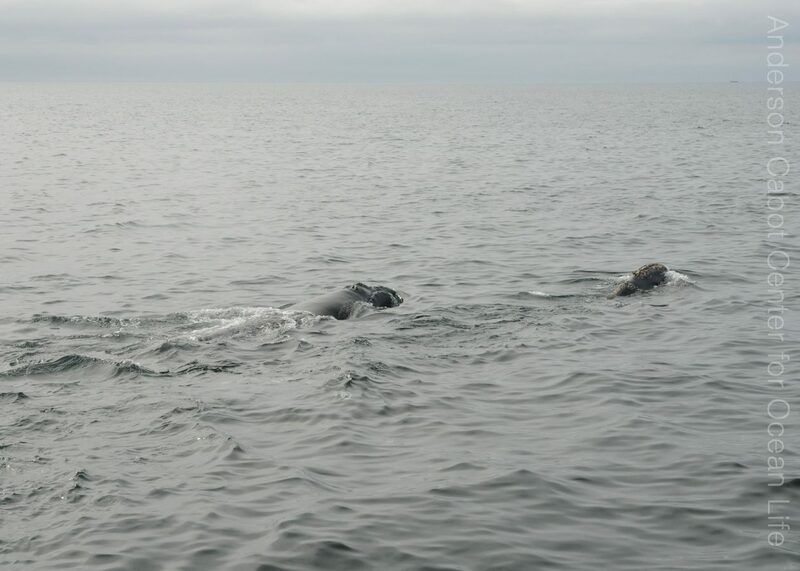 While she has already been biopsied, researchers were unable to get a genetic sample of the calf, and the pair last sighting of the pair was May 10 in Great South Channel. Time will only tell if we’ll spot these unusual off-shore moms with their youngsters this summer. The research teams are gearing up for another season in the Bay of Fundy and surrounding habitats off New England and Canada. Surveys are set to begin in just a few weeks! 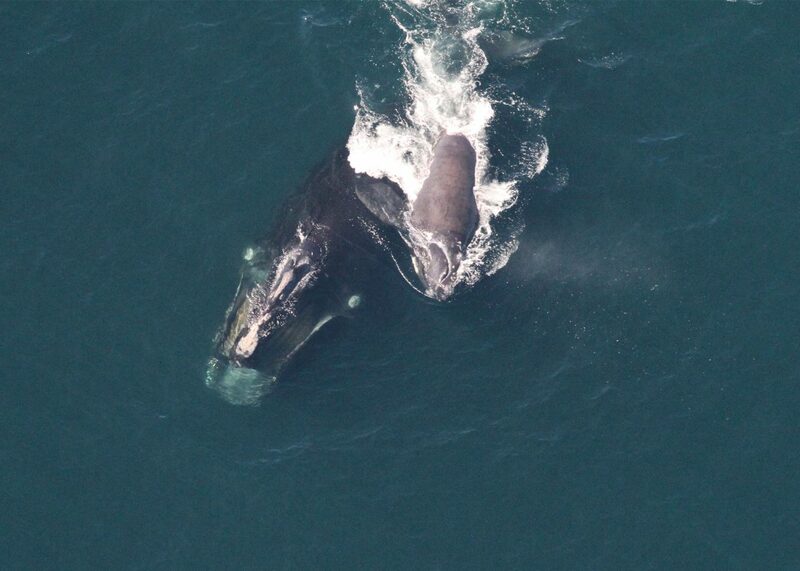 Stay tuned to the Anderson Cabot Center blog for more updates from the right whale researchers in the field.